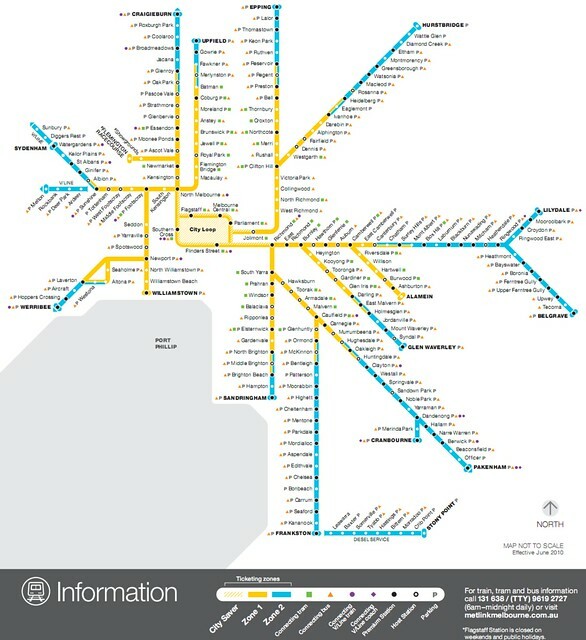 The Public Transport Users Association (PTUA) has called on all political parties to commit to fulltime staffing of all metropolitan railway stations, and a joint Victoria Police/Metro review to determine which stations should have a permanent police presence. “We should not have a train network of ‘haves’ and ‘have-nots'”, said PTUA president Daniel Bowen. “Everyone’s local railway station should have such basic facilities such as toilets and a fulltime staff presence, providing safety and customer service. Mr Bowen said a fulltime Metro staff presence at every station would help prevent crime, and provide customer service. “Information from staff is vital during service disruptions, such as the widespread delays we saw on Tuesday the 27th of July, so that passengers are aware of what’s happening and can get advice on alternative services. “Station staff can sell tickets and help people with ticket machines. Even today, some passengers have difficulties using Metcard. “Long after Myki is up and running and the temporary ‘Myki Mates’ have disappeared, new and occasional users will continue to need help with it. Currently only 38% of stations on the Metro network are ‘Premium’ status and have fulltime staff . Even after currently funded upgrades take effect , only 48% of stations will have staff from first to last train, with a further 19% ‘Host Stations’ staffed during peak times only. Figures indicate that of the 7,205 incidents reported at metropolitan railway stations in 2009, around 30% of those occurred at stations with no fulltime staff presence, but the PTUA believes it is likely more incidents occurred at unstaffed stations which have not been reported. Between August 2009 and June 2010, there were 877 attacks on Myki machines, causing some $3.2 million in damage, with the worst hit stations all lacking fulltime staff. The PTUA believes that fully-staffed stations are preferable to the Coalition’s plan for Protective Service Officers after 6pm. “While it’s true that Protective Service Officers on stations from 6pm to last train will alleviate fears about safety at railway stations at night, crime is not confined to night time, and many stations are already quite safe”, said Mr Bowen. “There is a danger that officers might be standing around doing nothing at some stations, when they are more badly needed elsewhere. And only Metro station staff can assist with customer service, including directions, helping with ticket machines, and ticket sales. “Backed-up by security patrols, a fast emergency response from police and Authorised Officers when required, and police at known hotspots, getting staff back onto our stations fulltime is the best solution for passengers”, concluded Mr Bowen. Note: These will not change under current government or coalition plans — See maps below. Current staffing (excluding Stony Point line): Fulltime (Premium) 77; Peak hour only (Host) 26; No staff 98. Expected staffing after currently funded upgrades are complete: Fulltime 97; Peak hour only 39; No staff 65. All Metro stations excluding the Stony Point line. This line is served by trains with conductors. 2010 Victorian State budget funding. Metro figures obtained by the Herald Sun. Excludes Stony Point line. Sunday Herald Sun, 11/7/2010, “Myki vandal bill tops $3.2m”. Most vandalised stations were Yarraville, Hastings, Spotswood, Seddon and Upwey, all of which lack fulltime staff. Of these, only Yarraville has any staff presence, but in morning peak hours only.